We sort out great websites for you to download free for commercial use fonts or free for commercial use vector art and write tutorials and tips for designers. Why do we even bother? Well, honestly, it makes our job easier! Truth is, we can use the most state-of-the-art printing presses like the Konica Minolta C8000 we acquired recently, but if the files are not print-ready and well crafted, the outcome can literally be garbage…that goes in our paper recycle bins of course! Therefore, we sincerely want the designer/customer to be proficient with their design tools and so, we offer the resources to learn how to do so. Well, not really. But it does make the process of designing a catalog 10x easier! 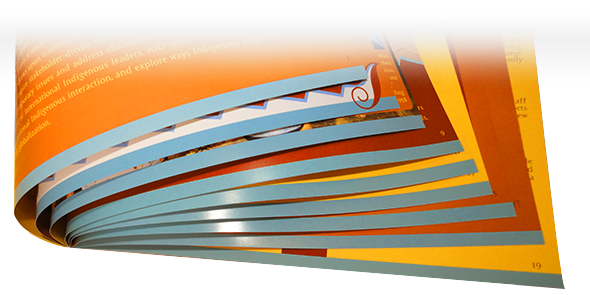 One of the most tedious part of designing a catalog for print is well, repetition. 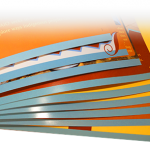 What would you find repeated throughout a catalog? Adobe InDesign answers that question for us with “Master Pages”. Notice how in the top area of the image there is a graphic of a page labeled “A-Master”. Notice the pages below it are all labeled “A”. 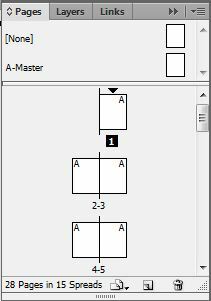 That means that any changes done to the A-Master page will also appear in all pages labeled “A”. You can place any repetitive information that will be found throughout your catalog in the A-Master page and it will be found on all of your pages marked A. This feature alone will save you countless hours that will be better spent designing the body of the catalog. Please comment with any InDesign advice or tips you may have and don’t forget to share this post!